﻿ Monel Alloy 400 Weld Neck Flanges, Monel 400 Slip On Flanges, Alloy 400 Flanges Exporter. ASTM B564 Monel Slip On Flanges, Monel 400 Weld Neck Flanges Exporter, Monel 400 Awwa Flanges, Monel 400 Body Flanges Supplier. Amco Metals, an ISO 9001: 2015 certified company, that offer innovation, quality and service packaged into a durable product that embodies excellence. We, at Amco, are dedicated to the highest degree of quality and standard, offering premium goods and services for challenging industries. Our priority is our customer and his/her complete satisfaction. 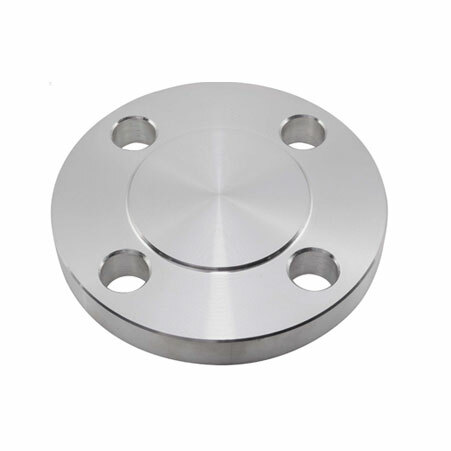 We are a manufacturer, trader, stockist, supplier and exporter of ASTM B564 Monel 400 Flanges that are made from pure Nickel, alloyed with Copper and other metals, giving it a durable nature and the prowess to function under a host of corrosive services. 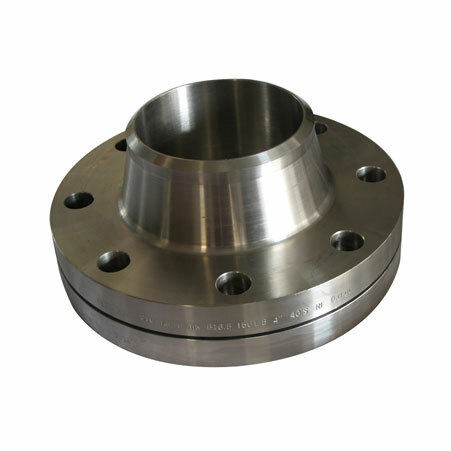 We offer UNS N04400 Monel 400 LapJoint Flanges that have a good economic value owing to its tendency of remaining neutral to corrosive fluids, making them reusable. We offer W.Nr 2.4360 Monel 400 Male & Female Flanges to the oilfield fabrication, offshore and to petrochemical industries; our flanges are age hardened and are resistant to caustic solutions, seawater, and to chloride solutions and nitric acids, under oxidising and reducing temperatures. We keep a tab on market trends and demands, to invent new, sustainable and economical products capable of undergoing customization. Our products are fully certified and 100% durable. 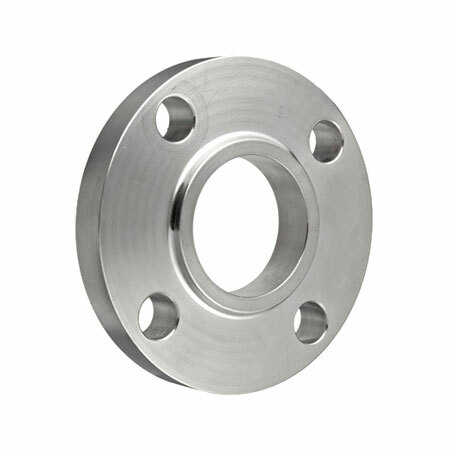 ANSI B16.47 Series A & B Flanges, Monel 400 Blind Flanges Manufacturer, Alloy 400 Threaded Flanges, Monel Alloy 400 Spectacle Blind Flanges Supplier. Austria, South Korea, Belarus, France, Turkey, Chile, Hong Kong, Morocco, New Zealand, Kuwait, Israel, Malaysia, Iraq, Germany, Saudi Arabia, Algeria, Libya, Bhutan, Bulgaria, Switzerland, Singapore, Venezuela, Oman, Portugal, Trinidad & Tobago,Tunisia, Ecuador, Chile, Norway, Gabon, United States, Mongolia, Yemen, Lebanon, Argentina, Poland, Peru, Gambia, Mexico, Ghana, Angola, Bangladesh, Iran, Russia, Japan, Finland, Indonesia, Thailand, Taiwan, Zimbabwe, Poland, Tibet, Romania, Canada, Costa Rica, South Africa, Ukraine, Egypt, Kazakhstan, Qatar, Estonia, United Kingdom, Jordan, Netherlands, Nepal, Philippines, Sri Lanka, Croatia, Azerbaijan, Nigeria, Serbia, Ireland, Namibia, Kenya, Afghanistan, India, Slovakia, Denmark, Hungary, Pakistan, Belgium, Nigeria, Czech Republic, Italy, Australia, Sweden, Brazil, China, United Arab Emirates, Lithuania, Macau, Spain, Bolivia, Puerto Rico, Colombia, Greece, Vietnam, Bahrain, Iran, Mexico. Colombo, Baroda, Ernakulam, Hyderabad, Pune, Cairo, Chennai, Hong Kong, La Victoria, Granada, Ludhiana, Jakarta, Kolkata, Nagpur, Dallas, Secunderabad, Vung Tau, Doha, Toronto, Algiers, London, Visakhapatnam, Seoul, Houston, Mumbai, Ahmedabad, Busan, Petaling Jaya, Ulsan, Hanoi, Dubai, New York, Montreal, Thane, Sharjah, Surat, Abu Dhabi, Perth, Aberdeen, Courbevoie, Noida, Sydney, Indore, Gurgaon, Tehran, Navi Mumbai, Haryana, Lahore, Istanbul, Edmonton, Howrah, Milan, Bengaluru, Jaipur, Dammam, Jeddah, Bangkok, New Delhi, Santiago, Al Khobar, Moscow, Pimpri-Chinchwad, Geoje-si, Vadodara, Faridabad, Ahvaz, Los Angeles, Lagos, Bhopal, Bogota, Atyrau, Melbourne, Ankara, Manama, Nashik, Rio de Janeiro, Thiruvananthapuram, Brisbane, Ranchi, Calgary, Caracas, Mexico City, Jamshedpur, Chandigarh, Chiyoda, Karachi, Kuwait City, Kanpur, Ho Chi Minh City, Madrid, Muscat, Coimbatore, Al Jubail, Singapore, Riyadh, Rajkot, Port-of-Spain, Kuala Lumpur, Gimhae-si.